Assassin's Creed, more so than most blockbuster franchises, has gone through some dramatic changes. The original was primarily a stealth action game and while the world was relatively open, the events centred on city environments. Over time, the stealth took a backseat as more action setpieces were introduced to the point where naval combat became as familiar an element as diving into hay bales from a ridiculous height. With last year's Origins, the series took a massive leap into open-world RPG territory and this transition will be cemented by next month's release of Assassin's Creed Odyssey, set in the sprawling world of Ancient Greece. Unveiled at E3 earlier this year, the game shows the confidence Ubisoft had in Origins; developed by the publisher's Quebec studio rather than series leader Montreal, work on Odyssey began immediately after work finished on 2015's Syndicate. By this point, Origins was already a year into production but the Quebec team were sure this was the right direction for the franchise. 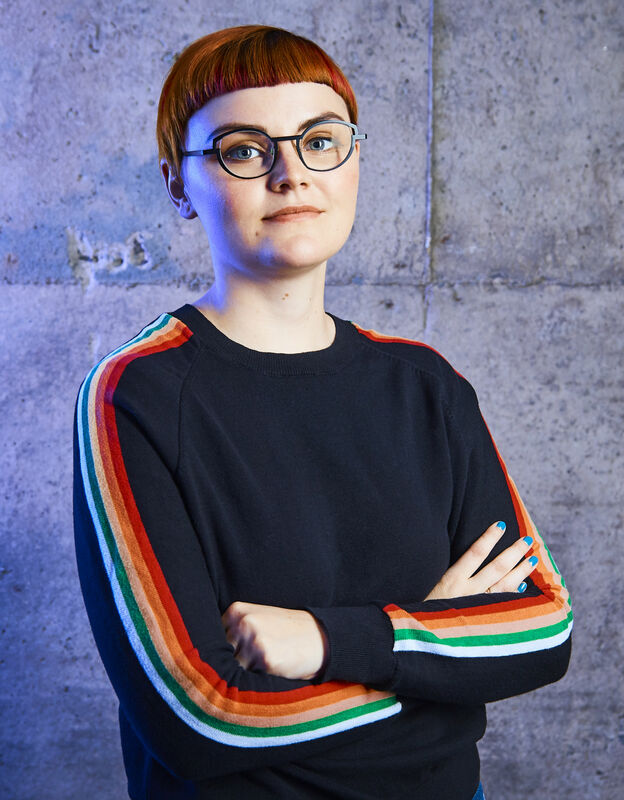 "We were really inspired by the push forward Origins proposed," narrative director Mel MacCoubrey tells GamesIndustry.biz. "We knew we wanted to take that and push it further. That very much felt like a natural shift because they push forward in player progression and so we were like, 'alright, let's push it into roleplay and go from there'." While it felt like a natural shift to the developers, we're curious to know if there was any concern about confusing the concept of what as Assassin's Creed game is. After all, fighting in epic battles between two armies on a Grecian beach is a far cry from the mix of assassination and parkour that gave the series its start. "The Assassin's Creed lore is huge and it's very much based in how we interact in history," says MacCoubrey. "That's always been part of the brand and the games that have come out. And so just because we're incorporating choice and building an RPG experience, we still are very much tied to history. "The historical events that we do touch on are recorded as it is in history, they play out as determined. History is a huge part of our inspiration and how we're building these games. From that, I don't think it's budged at all." "History is a huge part of our inspiration and how we're building these games. From that, I don't think it's budged at all." Director Scott Phillips adds: "Like anything that's been around for ten years and had many, many iterations and changes, we want to try new things as well. We know our fans don't just want exactly the same thing. "Finding that right balance of new things and familiar old things is absolutely an enormous challenge and we struggle with it the entire time we're making the game. We don't want to carry forward things that don't necessarily need to be there, so we're constantly challenging ourselves on what the vision of the game is and what we want to do. Each team does that in their own way - the Origins team will challenge things in their own way, just as we're doing to push the game forward and push the franchise forward." The concept of choice comes up throughout our conversation, and indeed the game's marketing. The tagline alone emphasises that "this is your odyssey", with the option of both male and female protagonists, various ways to complete each mission and side quest, plus a full dialogue system enabling players to influence the outcome of every conversation. But with choice comes the implication of branching storylines, multiple endings and influence over much larger events. Does this not contradict Assassin's Creed's decade-long focus on historical accuracy? MacCoubrey explains that choices centre around the player's story, rather than the wider events they're caught up in. The Plague of Athens still occurs as it did thousands of years ago, but smaller events within it are open to the studio's interpretation. "In the world we know of Ancient Greece in 431 BC - there is a very fine line between what is real and what is myth, and how those things are interconnected"
"There are long-term choices that influence your hero's journey, but also self-contained stories that impact certain characters' lives and how they function," she says. "I think that duality of history and making those choices and being able to determine your own outcome is something that was really exciting for us. Because it's also reflected in the world we know of Ancient Greece in 431 BC; there is a very fine line between what is real and what is myth, and how those things are interconnected." Phillips adds: "With Ancient Greece, we've got a great setting to do that. When making Victorian London, there was tons of research about what it looked like, what happened there, but Ancient Greece? There's good history but how historical is it? Did this guy actually see that, or did he just make up some dialogue that Xerxes said to Darius? We don't know." MacCoubrey chips in: "You have historical documents from the Greek historian Herodotus and he talks about how the Persian wars played out but he also talks about giant ants. So there's a line there." "Plus, for them, the Gods were real," Phillips concludes. "It wasn't just some made up thing." Sure enough, Odyssey will feature battles with legendary creatures like Medusa, just as last year's Origins enabled you to battle the Egyptian gods - and all within the context of the First Civilisation, a crucial pillar of the series' storyline. And yet, further illustrating how the Odyssey veers away from typical Assassin's Creed fare, the central narrative of assassins versus templars won't play as large a role as it previously has. Players instead take on the role of a mercenary, with the freedom to interact with the game's factions however they choose and the game's setting of 431 BC places it 400 years before Origins, before the Brotherhood of Assassins was even formed. "There is no creed by which you live," says Phillips. "You make your own creed, you're defining what's good and what's right in the world. The world will react to you, it might attack you if you do bad things, but we're not going to tell you that you can't do this or that. "We want, as much as possible, to give you those options to affect the world, maybe in ways you might not have been able to in the past. There's some quest givers that you can just kill and you're not going to get that quest. There's things like that, you can impact the world in ways that haven't been possible in the past because of choice." The two developers point to the E3 demo as a prime example. The player is given a quest by Socrates, who discusses a rebel that has been captured. The famed philosopher does not order them to kill the rebel, or to rescue him - he simply presents them with a dilemma and it's up to them whether to even get involved. And Phillips warns the typical Assassin's Creed approach won't always be the best solution. "If you're going to play it in the traditional go-in-and-murder-everybody way, the game may react to that because we might not have wanted you to do that," he says. "It's more about giving the player choice, and making them feel the impact of that choice." Players will also have greater control over their relationships with other characters than they have in previous Creeds, including a much-lauded facet of modern RPGs: romance. 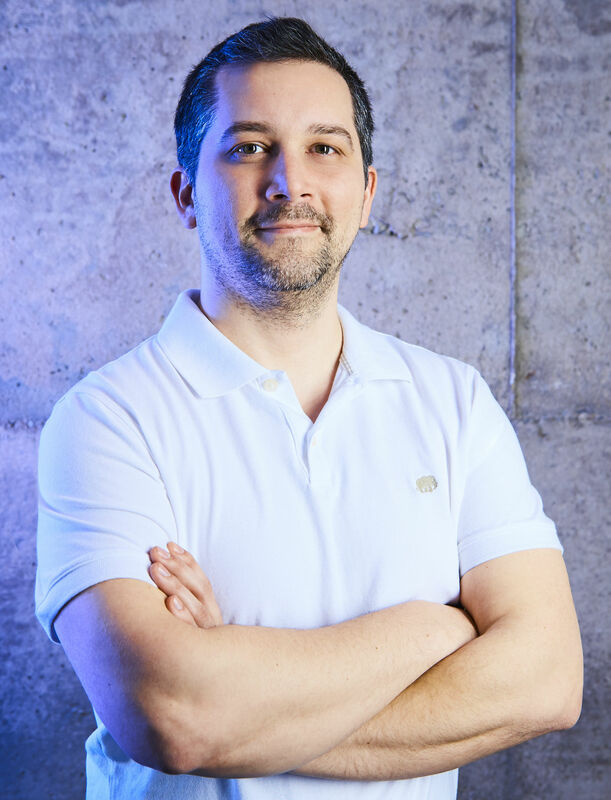 Ubisoft Quebec has promised to handle such relationships in a different way to genre's staples, and that developing them goes beyond simply activating acts of intimacy. "We really wanted your choices to matter with people, and that expands to relationships that are also based in friendship," MacCoubrey explains. "It really depends on the person you're talking to and how they're going to react to certain things. "I think it would be a mistake to limit our players, limit our fanbase from as many people as possible [with only male protagonists]. I don't know why we would go back"
"Everybody's different, and when you're telling stories - and trying to tell more truthful and human stories - you have to take other people into account when writing them, so it just made sense for us to be able to interact with a romantic relationship that makes sense for the individual that you're romancing. "The choices you're making are ultimately grey choices. Just because I lie to someone, doesn't mean it's going to be a negative outcome. Just because I'm friendly, doesn't mean it's going to be positive. And that's extended to romance." Phillips adds: "The ability to have human interactions with people and for people to be able to lie, believe you or not believe you... by not having that, we'd be blocking off a huge part of the human experience. We have relationships with everyone around us... we want the game to be about more than just who your next target is. It's about what is your relationship with the people in the world, and by bringing more humanity into the game, it makes it a much more interesting experience." 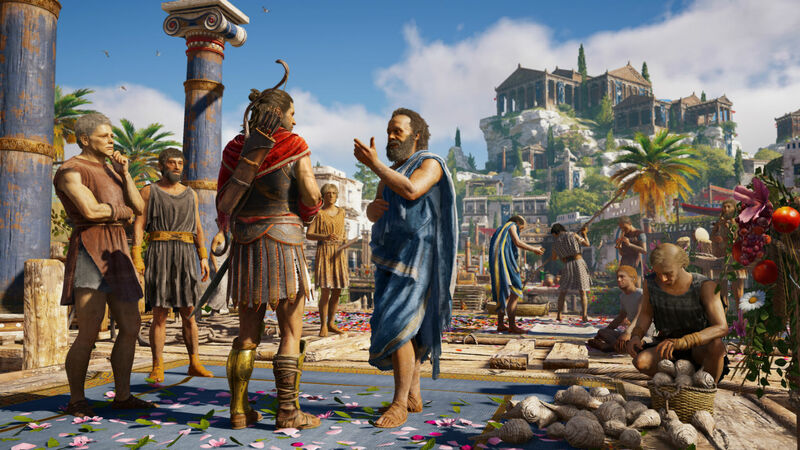 There's one crucial choice in Assassin's Creed Odyssey that needs addressing: the option of either gender for your protagonist. Historically, the series has primarily focused on male assassins, with playable female characters relegated to specific sections or spin-off titles like AC III companion Liberation. Back in 2014, the publisher courted controversy when an AC Unity developer described the lack of playable women in its co-op mode as a "reality of game development" - despite the fact that female characters were available in past Assassin's Creed multiplayer modes. Having the option to play as Kassandra throughout the game - described by Ubisoft as Odyssey's canonical hero despite male counterpart Alexios dominating the marketing and merchandise - is a welcome change, but feels like something that should have occurred much earlier in the series. Fortunately, Phillips is confident Odyssey marks a turning point in this regard - at least when it comes to the series' Quebec-developed titles. "I think it would be a mistake to limit our players, limit our fanbase from as many people as possible," he says. "I don't know why we would go back. We should continue pushing in this direction, bring in more players, more fans to enjoy this experience and make it their own experience." I've always enjoyed how AC has been willing to make changes, even if they're slow (Origins finally killing the overdone 'Climb a Tower to reveal Points of Interest' thing) or even when I don't care for them. At least the game will be more different from entry to entry than some series I could mention. You mention the stealth for instance... AC1 and AC2 focused on social stealth - you could blend in with crowds if you didn't behave too suspiciously. There wasn't terrain stealth as you think of it in most games (like Thief). AC3 moved to a terrible script-based stealth monstrosity where as long as you were in the zone the scripter thought you should be in you were 'hidden' even if it was a 2 inch tall patch of flowers - but if you were hiding behind the wrong tree, instant death. It took till Syndicate to get what we'd consider a modern stealth system where you can actually hide behind random items. Origins was technically good, I liked the combat and tomb raiding, decent story, but very repetitive world - so I'm looking forward to see how Odyssey switches it up. Even if it fails, though I like what I see so far. "this transition will be cemented by next month's release of Assassin's Creed Origins, set in the sprawling world of Ancient Greece." Regards. Always nice to read you . @Alfonso Sexto: Thanks for that. Will fix now! @Ron Dippold: Fair point, I should have clarified. The point I was trying to make was that the emphasis has gone from being sneaky to letting players tackle it however they want. Where else can you play as a woman fighting for a gender inequality patriarchy such as Athens and against a brutal slave state controlled by rich widows, i.e. Sparta. Run for the hills, or better, the Persian Empire behind.